A Potent Alternative Treatment for Leiomyosarcoma, a Rare Form of Cancer? What is good for treating leiomyosarcoma, a very rare form of cancer? Leiomyosarcoma is certainly an aggressive form of cancer, but not one that can't be treated successfully. It matters not what form of cancer a person has, the cause is virtually the same. Toxic microbes and parasites invade the body's cells, stealing their food supply so the cells basically starve to death. These nasty little creatures also excrete a toxic waste that infects and poisons the body (this not some made up theory either, it's been proven by research groups such as the Independent Cancer Research Foundation). To get rid of these toxic pathogens, you need to kill them and flush them out of the body, along with stimulating and building up the immune system. This is the best protocol for achieving this in my opinion... The Super Cheap Natural Cancer Prevention and Cure Protocol. Be sure to read through the protocol three or four times first to understand it fully and click on all the links provided and read through the articles. This protocol must be followed 100% to-the-letter for best results. Comments for A Potent Alternative Treatment for Leiomyosarcoma, a Rare Form of Cancer? This info is excellent and very thorough. Who new that these guy's were out there quietly finding the real cures for cancer? Both the preventative and the cure treatments listed here make sense. Definitely going to be sharing this with friends and family! Thanks a heap. In addition to using the protocol recommended above, a doctor by the name of Dr. Subrata Chakravarty Ph.D is having tremendous success treating this type of cancer using Immunotherapy and enhanced Sono-Photo Dynamic Therapy with lasers. Do an online search for this man and you'll see what I mean. Chemo and radiation are awful (I watched my mom die from having this stuff). 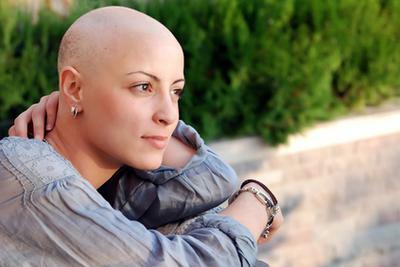 Alternative treatments for cancer work. At the very least, they will keep you alive a lot longer than the cut-burn-poison method will.